We provide fast and reliable repair, service, installation and maintenance service on residential and commercial heating units, air conditioners, boilers, refrigerators, water heater and much more. 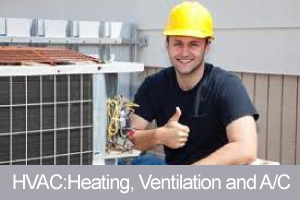 We can service any makes and models of heating and air conditioning equipment. We also stock all universal heating and air conditioning components with an aim to fulfill your requirements. Our plumbing works include fitting gas pipes, clearing clogged drains & sinks and more. We are experts in handling all kinds of HVAC, pluming and sheet metal jobs. Our NATE certified technicians will troubleshoot the issues easily with an aim to provide you peace of mind. Every customer is treated with courtesy and respect. Our service technicians will always get the job done right the first time. We offer 24/7 emergency service. Call us @ now @ 1-780-792-0800 to schedule an appointment. Experienced management, skilled and certified technicians, and specialized equipment are the key ingredients in HVAC building maintenance. When these three components are combined you can be assured that the proper procedures are in place, and the work is done the right way, the first time. 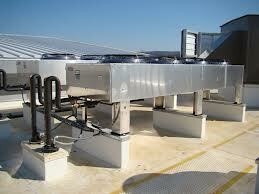 We specialize in commercial and industrial HVAC systems of various scales. Whether you need service on chillers or boilers, or you need routine maintenance on several roof top units, we will provide you with a maintenance plan to keep your system running efficiently. Our promise and commitment to you is to keep your facility environments—the buildings, the equipment, and most importantly the people they contain—in good health! HVAC Solutions Ltd. offers mechanical services including HVAC/R and Plumbing mechanical services to wide range of commercial projects in Fort McMurray and surrounding areas. We have worked within a variety of industries and can offer services for: Office buildings, Retail buildings and units, Hospitals, Schools, High-rise residential buildings, Commercial buildings, Restaurants, Recreational facilities (I.e. pools and hockey arenas), Grocery stores. Mechanical design, equipment installation and solutions in all industrial settings, including severe duty and classified environments. Installation and service on a full range of heavy duty and specialized HVAC equipment, including ventilation, gas phase filtration, heat recovery, material handling and dust control, natural gas burners, electric heaters and chillers. Expertise with industrial protocols. HVAC takes a consultative approach to industrial projects. Drawing on a wealth of industrial experience – including knowledge of the oil sands and mining industries – our commitment begins by understanding the unique applications, protocols and processes of the sector. 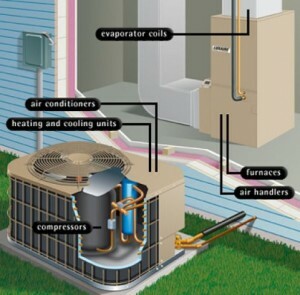 Constant Comfort is the Residential Division of HVAC Solutions Ltd. They offer a wide range of Heating & Air Conditioning, products and services to meet your every air quality need and improve your quality of life at home. Plumbing & Heating : For fast and efficient plumbing services when you need them – HVAC Solutions has you covered. Offering a full range of plumbing services for old and new commercial buildings, HVAC handles everything from installation and service to maintenance and repair, with 24-hour service available for those plumbing emergencies that just can’t wait. Our technicians are trained and certified for confined space entry. Our team of professionals can assist you in all aspects of your plumbing and heating needs. By leveraging our knowledge of new technology, expertise in tried and tested methods, and diverse range of traditional products, we are able to ensure an answer to all your problems and concerns. Trust us to take care of issues that another Fort McMurray plumber might fail to spot or address properly. Write a review for HVAC Solutions Ltd.